Planning outdoor fun for the family this summer? In Texas? You may want to take a look at the attractions and facilities at Houston area’s Brazos Bend State Park. National Parks and State Parks are such a treasure and resource for us all. Many of these 17 fun activities can be done at a lot state parks so if you aren’t near Brazos Bend State Park, you can still get some good ideas. If you are near Brazos Bend State Park, you will appreciate the specifics and detailed information so you can plan your family activities ahead of time. Brazos Bend State Park is 5,000 acres, one of the state’s largest parks. It includes bottomland and upland coastal prairie just southwest of the rapidly expanding Houston metro area. It is only 45 minutes from downtown Houston, so it makes a convenient getaway for Houston area residents. Brazos Bend State Park is an outstanding park. On a State level it ranks in size, miles of trail, variety of wildlife habitat and photography opportunity, as well as having a Nature Center staffed by 140 volunteers and 2 TPWD Park Naturalists. It has the George Observatory located in the middle of the park with one of the largest telescopes available to the public in the US. The wealth of group facilities (Dining Hall, Shelters, Pavilions and Youth Group Campsites, as well as a sizable Amphitheater) makes this park very attractive for Family Reunions and other family oriented gatherings. Here are 17 fun ideas for what you and your family can do at Brazos Bend State Park. There are so many fun things to do with kids at Brazos Bend and it is so good for them to spend time outdoors. 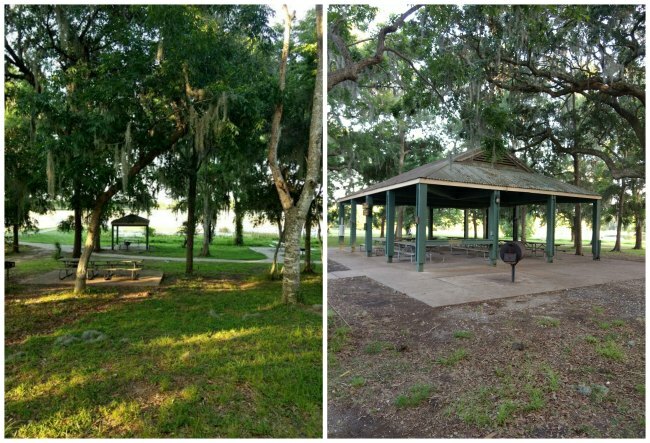 The Brazos Bend State Park Campground offers camping sites for RV’s and Tents. You can use sites with electric and water for $20 or $25 a night. Or you can use walk-in sites without electric and water for $12.00 a night. It is recommended that you make reservations. Here are some great tips for how to go camping. Texas State Parks offer the best biking in the state, no matter your skill level. Paved park roads are ideal for families, while adventure seekers can mountain-bike hundreds of miles of multiuse and single-track trails. Brazos Bend State Park is located in the Gulf Coast region of Texas. 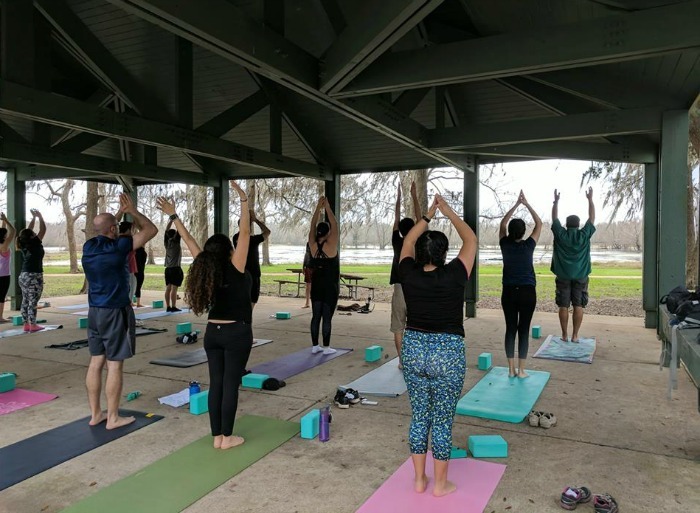 If you live anywhere between Corpus Christi and Houston and BIKING is the focus of your activities being planned for the family to enjoy, Brazos Bend State Park is your best choice. It has 21 miles of trail which vary from Beginner to Intermediate. Of the 9 Texas State Parks in the Gulf Coast region, Brazos Bend has the most miles of trail, with 7 of the nine parks having only 8 or less miles to bike or hike with kids. In the Gulf Coast Region of Texas you have a variety of choices. You are either going to go beach, Galveston Island State Park. Galveston Island State Park protects 2,000 acres of upper Gulf Coast barrier island ecosystem. This is the last undeveloped land on Galveston Island that allows public access from the beach and Gulf waters, through the coastal prairie, and into the wetlands toward the bay. Or perhaps you would go to Lake Livingston State Park with 635 acres. But if you are looking for a “wilderness” experience and prefer to have space to sprawl out, large areas to explore, 21 miles of trail, and a variety of habitats and exciting wildlife to watch and photograph, Brazos Bend State Park is the favored option for many folks. 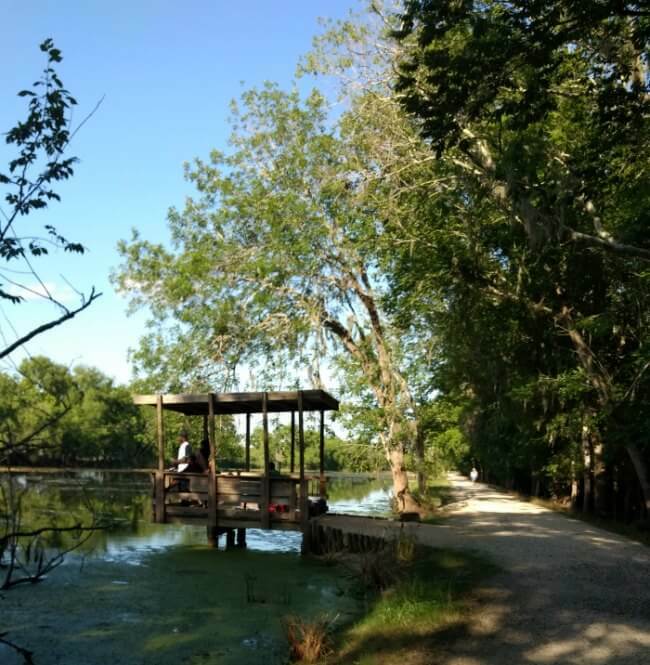 Its sheer size is impressive as it is more than double the size of any other state park in its region of Texas.Brazos Bend State Park has 3 miles that border the Brazos river, giving you a Riverine and forested environment to explore. It has Big Creek (a small river) which meanders through the park. Additionally, it has 7 lakes with wetlands, hardwood forest, and prairie ecosystem. For its acres to explore as well its wildlife biodiversity, its alligators, its over 300 species of birds, its white tailed deer, and its variety of wildlife from mammals to insects and even for its variety in vegetation, plant communities, the fauna and flora of Brazos Bend State Park is sure to please all who venture here. First, what is Geocache? Geocache is basically a treasure hunt that is entertaining to people of all ages! Anybody can do this. Geocaching in Texas State Parks can be a whirlwind of fun. You will need a GPS unit to find hidden treasure. It’s great for kids and adults, no experience necessary! Hint to get you started: there are 4 at the Nature Center! There are about 30 Geocaches in and around Brazos Bend State Park. Can you find them all? So what is orienteering? And would your family like to do it? Orienteering is a valuable skill that can be a lot of fun. It started out in Norway to teach troops how to deploy to specific positions in the field. It is now used to teach ROTC and army cadets. At one time it was an Olympic sport. In a State Park, Orienteering is favored by running clubs and families that enjoy a physical, as well as a wayfinding activity. With the use of maps, orienteering is a timed race which can be done singularly or in team. At Brazos Bend State Park, go to the Nature Center for the Orienteering Course Print-outs. There are two courses, one at the Nature Center and one at Hale Lake. The Nature Center is at a central location, and also is a center of activity at Brazos Bend State Park. I have worked as a fee collector and greeter at BBSP at the Park’s Headquarters and I can tell you from first hand experience, we send many, many people to the Nature Center on their first visit to the park. It is a open 7 days a week to the public, and it is a perfect “Welcome Center”. The Nature Center has Exhibits, Guided Activities, Interpretive Hikes and Presentations. It is a large building with a variety of exhibits, including live hatchling alligators, live snakes, and other natural exhibits. The Nature Center houses the Gift Shop where one can buy souvenirs, snacks and drinks. It offers guided hikes and activities throughout the week but especially on the weekend. 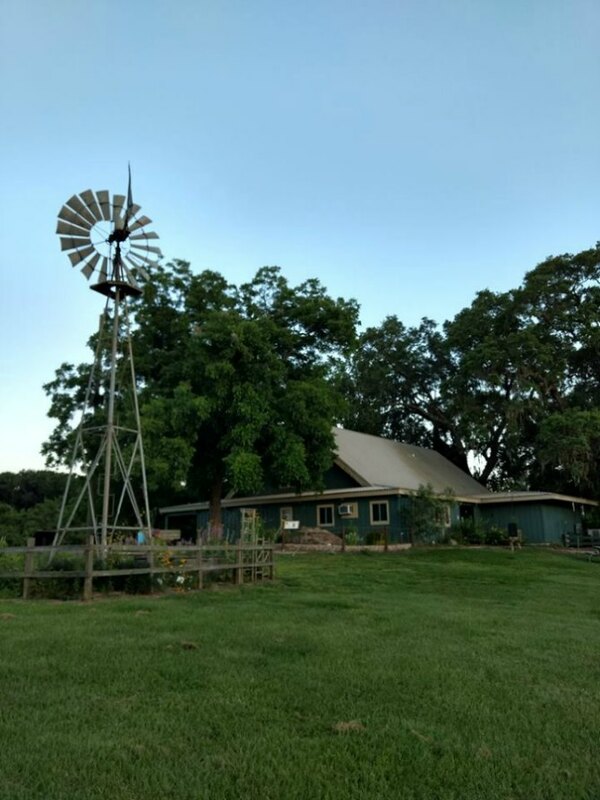 While visiting Brazos Bend State Park, you will want to include one of the Nature Center’s guided interpretive hikes, activities or alligator presentations! 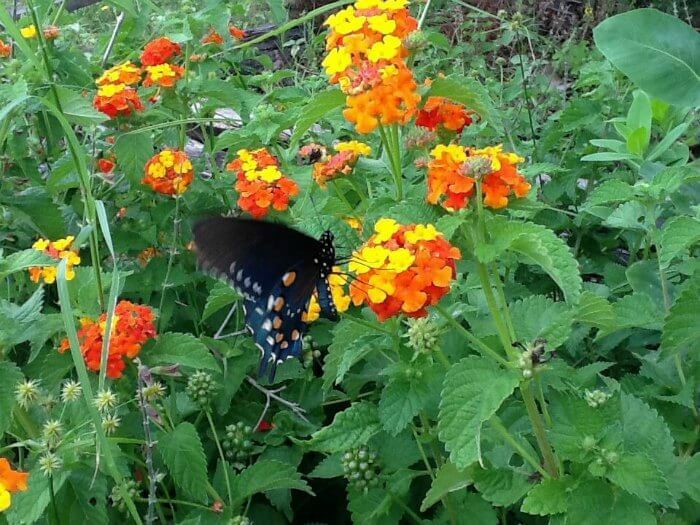 The Brazos Bend State Park Nature Center Hours: open 11 am – 3 pm weekdays and 9 am – 5 pm on weekends. Birdwatching is a great way to incorporate nature into your child’s education. With over 300 species of birds that can be sighted throughout the year, a 4 story Observation Tower, numerous wildlife viewing platforms, wetlands, prairies as well as river and stream habitats, the park is excellent place for birders to get their fill of seeing and photographing birds. The Nature Center offers a Ebird Kiosk on site to see what other birders have seen recently. Also, offered by the Nature Center are regularly scheduled Birding Hikes. All guided Bird Watching Hikes will meet at 40 Acre Lake parking lot at 8:00 am. All levels of experience are welcome. Bring your binoculars. These programs will meet at Brazos Bend State Park’s Nature Center. This is advanced photography and the conditions may not be suitable to large groups, small children, or those with mobility challenges. Please bring your own camera, gear, and tripod. Always keep your camera ready for white tailed deer and their fawns, squirrels, nesting turtles, owls, butterflies, birds, aligators and other cool wildlife to photograph. There are lots of Wildlife Viewing Platforms. Not sure if you and your family would like camping? Texas Parks and Wildlife’s Outdoor Family Program is designed to let you experience a night of camping with help from outdoor specialists and camping equipment furnished by program sponsors. Under the supervision of a park ranger you’ll learn a bit about alligators, the night sky, and the other natural wonders at Brazos Bend. TPWD provides all of the camping equipment you’ll need for this family friendly weekend! 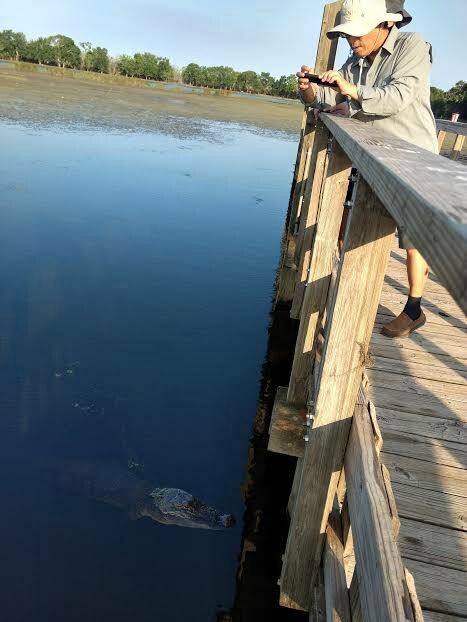 Fishing opportunities are numerous at Brazos Bend State Park. The park has four lakes that are popular with fishermen – 40 Acre Lake, Elm Lake, Hale Lake and New Horseshoe Lake. 40 Acre Lake and Hale Lake both have handicapped accessible fishing piers and Elm Lake has seven small piers along its south side. Bank and pier fishing only, no wading or boats allowed. The lakes are periodically stocked with Bass, Sunfish and Catfish. The park store at headquarters sells fishing equipment and live bait. No fishing license is required in the state park but regular size and bag limits do apply. 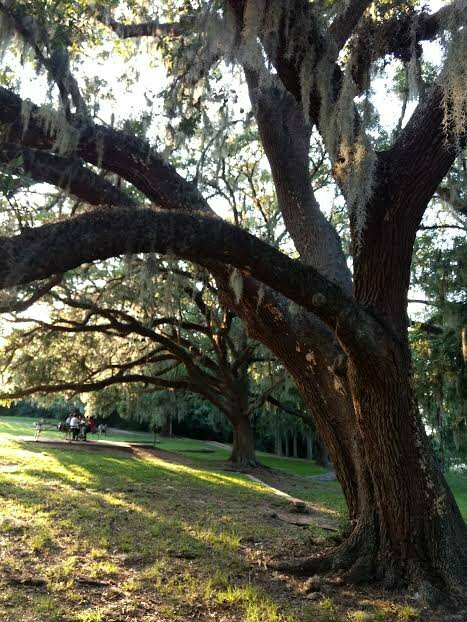 The hundreds of live oaks, many of them a couple hundred years old, provide a wealth of shade and serenity. Enjoy the live oak galleries, and relax under their enchanting influence. Brazos Bend State Park includes 5,000 acres of bottomland and upland coastal prairie just southwest of the rapidly expanding Houston metro area. Tallgrass prairie covers much of the western border of the park. These prairies are home to native grasses that range in height from 2 to 6 feet tall. The park prairie offers a glimpse of a once widespread, but now vanishing ecosystem. Woodlands include live-oak gallery forests and mixed bottomland hardwood forest. In places, a mature forest canopy reaches for the sky. The trees provide refueling stops for migratory birds and sanctuary for native wildlife species. The park has several types of wetlands: swamps, lakes, marshes and short-lived ponds that form on the prairies during the rainy season. A view of the George Observatory, from the Pocket Prairie. Lovely spot in the shade. 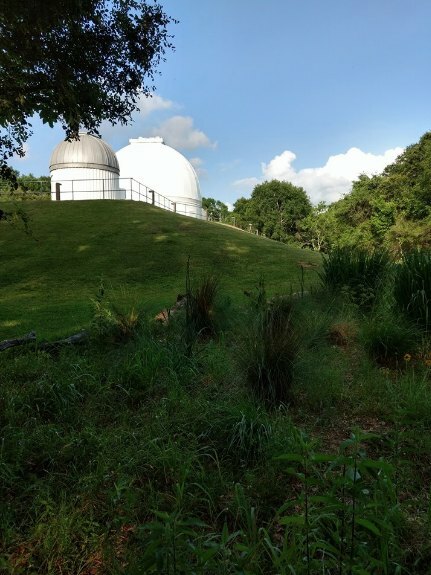 The George Observatory is located centrally in the Brazos Bend State Park, directly across from the Nature Center. It is a satellite of the Houston Museum of Natural Sciences and it is a separate entity from the park. Here is a partial list of programs and services offered by the George: Telescopes, planetarium, meteorite exhibit, scout programs, birthday parties, groups, classes, expeditions and events.The observatory is open on Saturdays from 3 to 10 p.m. For information on programs or passes, visit the observatory website or call (979) 553-3400 or at (281) 242-3055. The Park offers regular Yoga instruction. The Park’s Superintendent is a Yoga Instructor in his spare time, and offers classes which are given free of charge. This unique program is an outdoor vinyasa flow yoga experience. The programs are held at several locations around the park, which are announced online as the event draws near. One week it could be at Elm Lake Pavilion, another it might be on the roof top of the George Observatory. It is an opportunity to practice your flow with a certified yoga instructor. Between the heat and the sequence this can be considered a very vigorous practice. The instructor will be available to help beginners with props, modifications and assists. The program is free for any participant who has a valid entrance permit for the day. Entrance permits are available from Park Headquarters for $7.00 per person for everyone 13 or older. Children 12 or under are free. Entrance fees are also covered by a valid Texas State Parks Pass. Families with children may attend, however, the program will be challenging for youngsters. Children 12 or under must be supervised by a responsible adult. Bring a yoga mat, a towel and drinking water. This will be a vigorous practice at high temperature. Please hydrate accordingly. Six primitive equestrian campsites are at the trailhead of the six-mile multi-use trail system at Brazos Bend State Park. The campground sits in a grove of pecan trees. Each site has a picnic table; some sites have a campfire ring. The sites do not have water, electricity or showers. Water for horses and chemical toilets are available. Alligators are the mascot of the Park, so to speak. There are approximately 350 adult alligators supported by the rich wetland environment of the Park. This is a self-sustaining, wild, un-hunted population in its natural habitat. The alligators were not brought in, this population is controlled by nature. 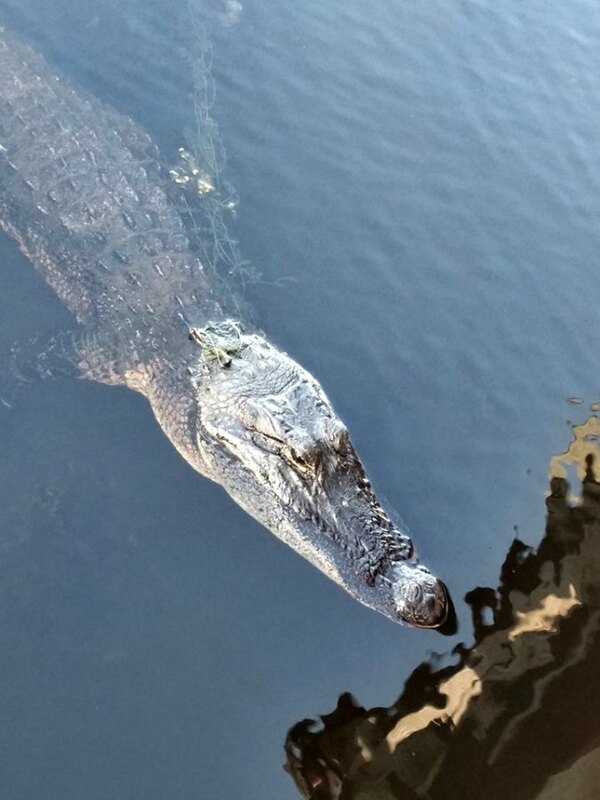 The chances of spotting alligators on your visit to Brazos Bend State Park are very high. On my first visit to the Park, I saw over 10 alligators. The best time of year to see alligators here, is Fall and Spring. But the alligators are seen year round. The best time of day to see them is early morning when they are sunbathing, or late afternoon when it starts to cool down. Elm Lake and 40-Acre Lake are where the majority of the large alligators live. There are THREE Day Use Areas, which families use to have family gatherings, grill out and picnic: 40-Acre Lake, Hale Lake, and Elm Lake. Furthermore, there are several HUNDRED Picnic Pads, which include Picnic tables on concrete slab, with a stand up BBQ grill. Brazos Bend State Park can facilitate family gatherings of any size! There are three ways to organize your family gatherings. You can just pay $7 per person entrance fee when you arrive at the Park, and then you can go claim the Picnic Pad that is to your liking. First come, first serve. My two favorite Day Use areas for this style of family outing, are Hale Lake and 40-Acre Lake, because of their picturesque, cozy settings. The Picnic Pads serve one to two families, 10-15 people if you bring some fold out chairs. There is plenty of shade at both areas mentioned, so you don’t usually need to bring a shade canopy. For larger family gatherings you can rent a Picnic Pavilion, which comes with electricity and a huge smoker grill for large BBQ. There are two Pavilions and they rent for $50/day. For a full service experience, you can rent the climate controlled Dining Hall which has tables, seating and facilities for 100 people. It has AC, fans, restroom, refrigerator, freezer, outdoor BBQ grills, and it’s fit for receptions, church gatherings and reunions. My dear readers, I have listed 17 fun things you can do at Brazos Bend State Park. You can do most of these things at any Texas State Park. This is only a partial list of suggestions. There are many more ways to enjoy our parks. I will be writing a series of articles on how to enjoy Texas State Parks. I hope you have enjoyed this one and will read more of my articles on ways you can enjoy your State Parks! My family has only been to Texas once and we loved it. We’ll have to add this to our list for the next time we visit. It looks like so much fun! I’m sure you would really enjoy this as a Park, it is a huge hit with families. So much for the family to do. 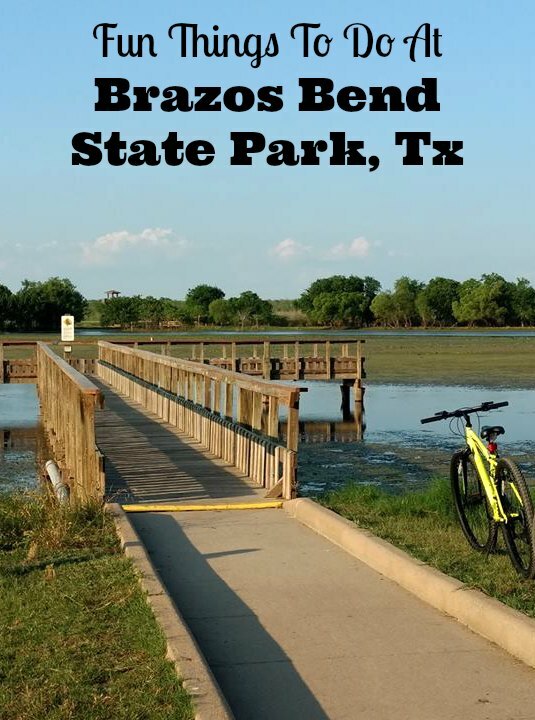 I would plan it out and depending on how much time you have, camp at Brazos Bend, do all the fun stuff there, then maybe make a day trip to the beach at Galveston Island State Park, it’s only an hour away! Hiking would be big to me Anna. Love to keep in shape while enjoying nature. Perfect mix of things to do. Texas has no shortage of tourist activities. Like its own nation. Really eye-popping. This Park is an excellent place to run! 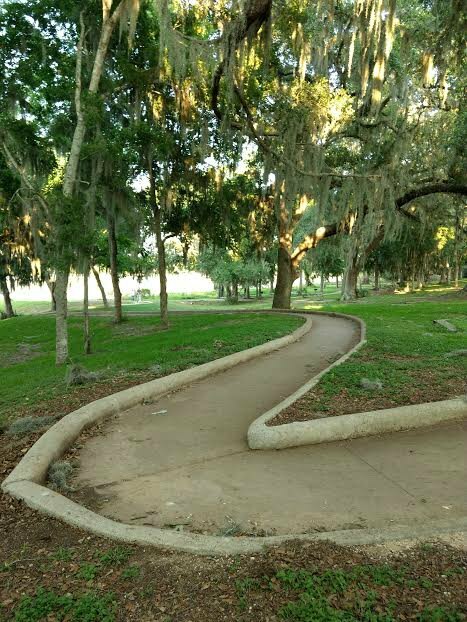 The paths are perfect for running, jogging, walking, exercise. Wow! It is so good to hear that my writing can help people out on a practical level and save them time. I will be doing a series of these here on Family Focus Blog. If I’m ever able to go to Texas, I’d love to visit here. Lots of family activities to enjoy, and the scenery is beautiful. We’ve only been to Texas in an airport (passing through). We really need to vacation there someday to see all the cool stuff like this! What a stunning park with so much to do. Would be great to take the kids there and spend a day enjoying the alligators, gardens and stay for some stargazing!